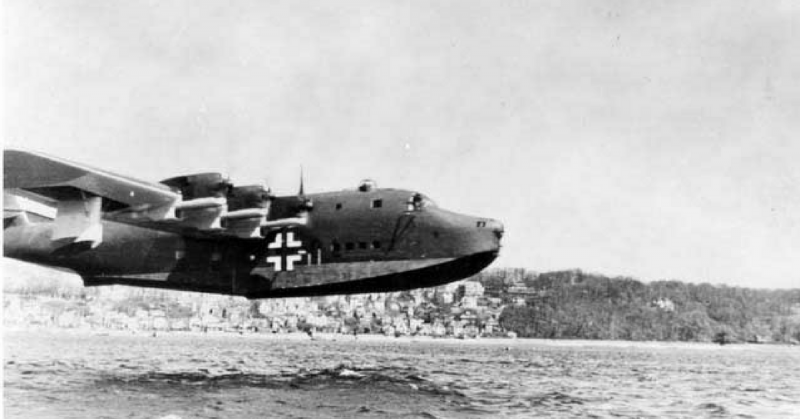 The German Blohm & Voss BV 222 Wiking (German for “Viking”) was the largest seaplane to achieve operational status during the Second World War. 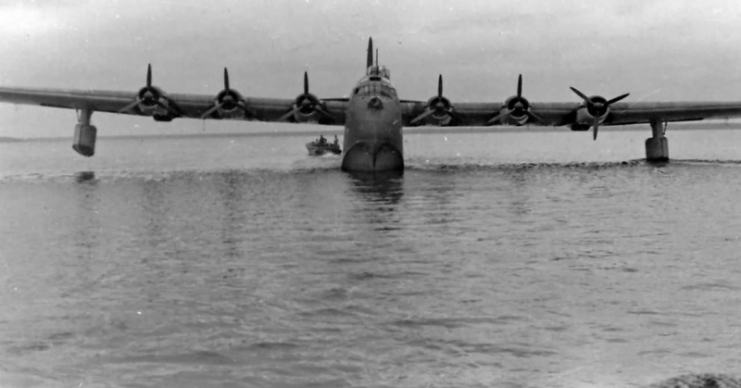 During its time in combat, it was notable as the largest aircraft in the war to get a kill against an enemy plane, but it also was the largest aircraft to be gunned down during the war. 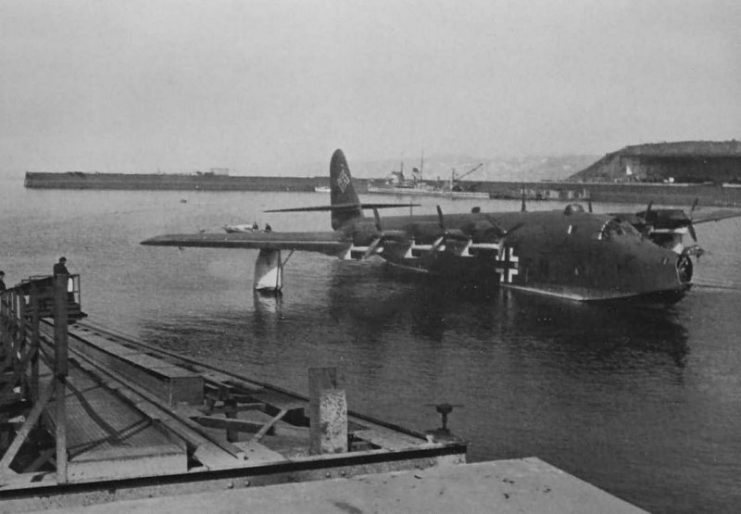 BV 222 “Wiking” on the water ready to be loaded. 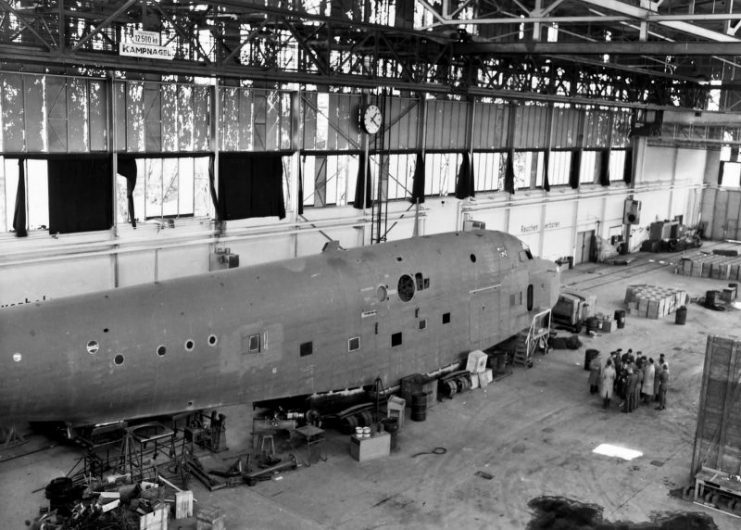 The existence of the BV 222 sprang from a design in 1936 which was made by Dr. Richard Vogt. 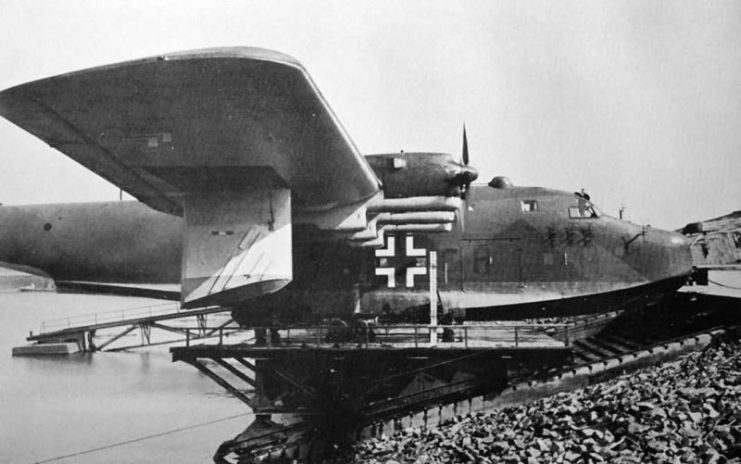 Prior to the Second World War, the German airline Deutsche Lufthansa A.G was on a commercial aircraft project which received a design for the Ha 222: a huge flying boat. This design was created by Dr. Richard Vogt of the aircraft manufacturer, Hamburger Flugzeugbau. 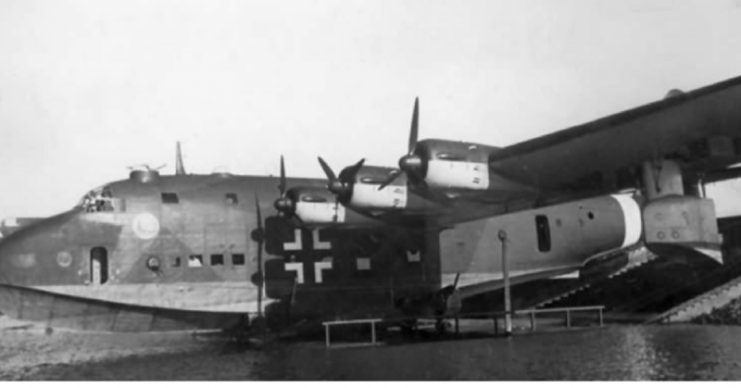 The name Ha 222 was changed to BV 222 after Hamburger Flugzeugbau changed its name to Blohm & Voss. The design yielded a first prototype designated V1 in 1938. V2 and V3 would follow within weeks. 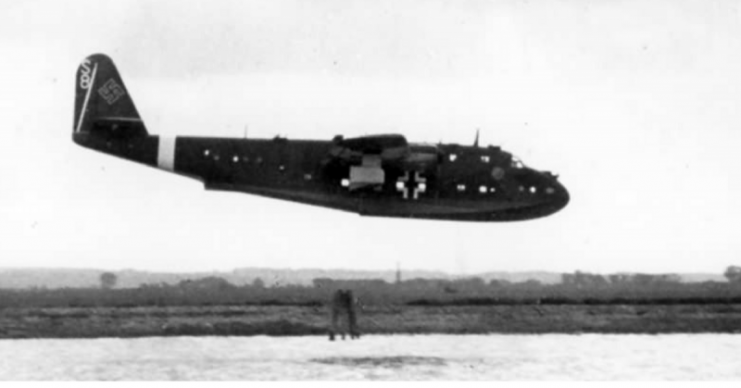 The BV 222 aircrafts ranged from V1 to V8. V1 had a capacity of 92 passengers and a maximum speed of 239 mph. It made its test flights on 7th September 1940, and its flight characteristics were satisfactory. However, improvements were required. In December 1940, the V1 passed into Luftwaffe service, receiving all the formatting required for aircraft serving with the German aerial warfare branch. 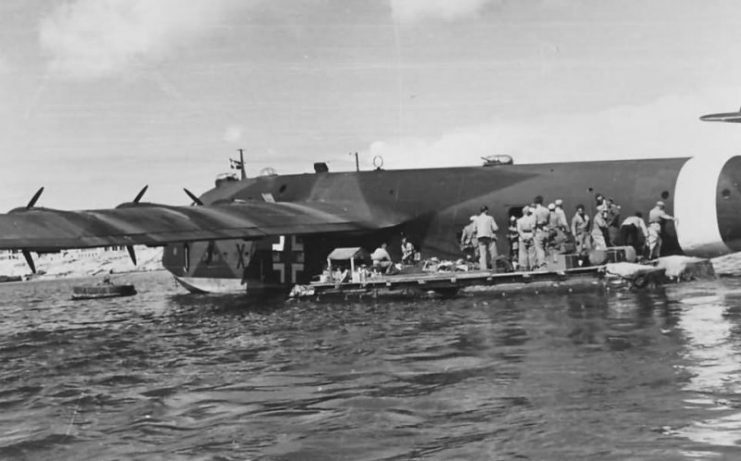 Originally, it was powered by a Brammo 323 Fafnir engine, but later versions would be powered by six 1000 hp inline diesel engines which permitted refueling at sea using resupply U-boats. 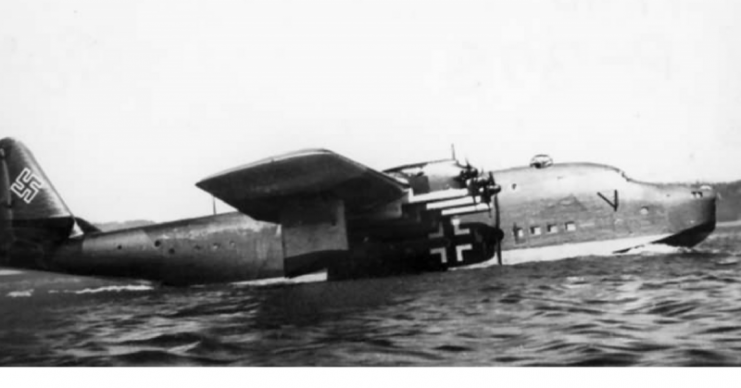 By August 1941, the V1 had completed seven flights between Hamburg and Kirkenes, transporting about 65,000 kg of supplies and 221 wounded men across a total distance of 30,000 km. 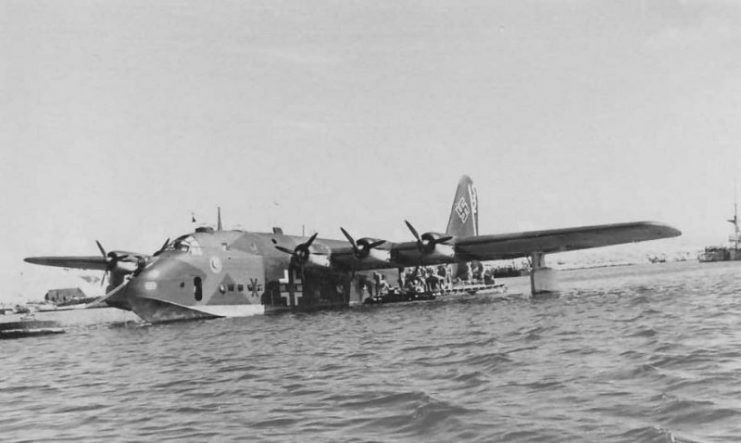 It also flew to Athens, carrying supplies for the Afrika Korps. During this time, it was unarmed and was escorted by two Messerschmitt Bf 110 heavy fighters. After these flights, the V1 was equipped with a defensive armament comprising a 7.92 mm MG 81 machine gun in the hull, two 13 mm MG 131 machine guns which were mounted on its turret, and four 7.92 mm MG 81 machine guns which were fixed at the rear. 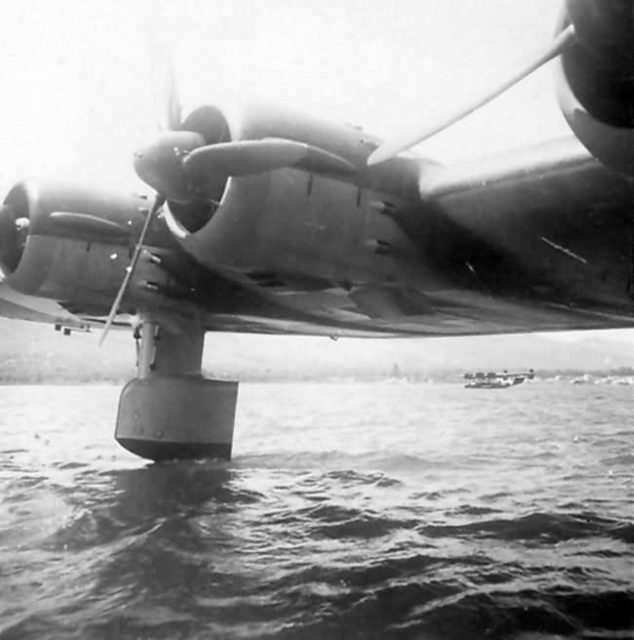 It would sink in February 1943 following a collision with a submerged wreck while landing at Piraeus harbor. 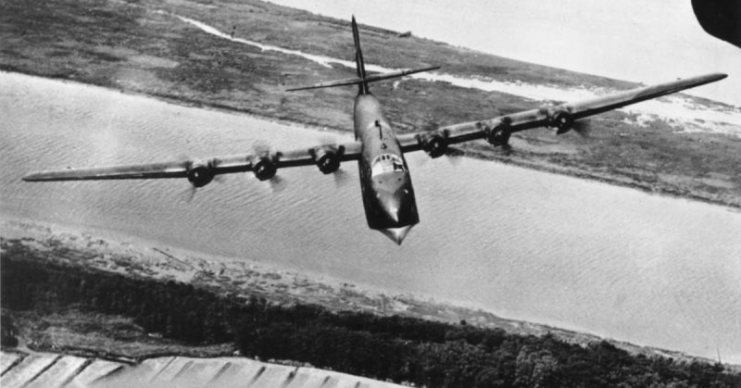 The V2 was assigned to the squadron Lufttransportstafffel 222 (LTS222) after its first flight in August 1941. 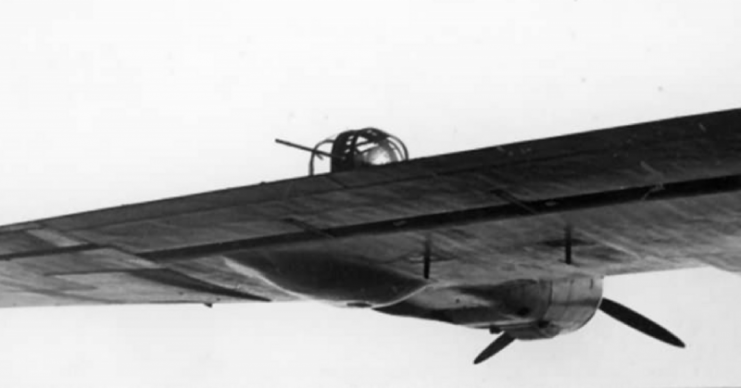 It had an extra feature: two rear-facing turrets with dual 13 mm MG 131s on its wings. It participated in Operation Schatzgräber. 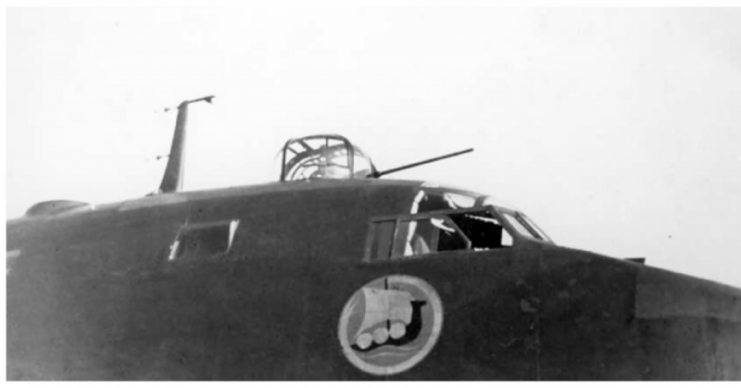 A BV 222, V4, is reported to have gunned down a VB-105 commanded by Lt. Evert in 1943. Most of the remaining 1st 8 variants were shot down. The V3 and V5 were destroyed at Biscarrosse by the British Royal Air Force. The V6 and V8 were shot down on the Taranto-Tripoli route. 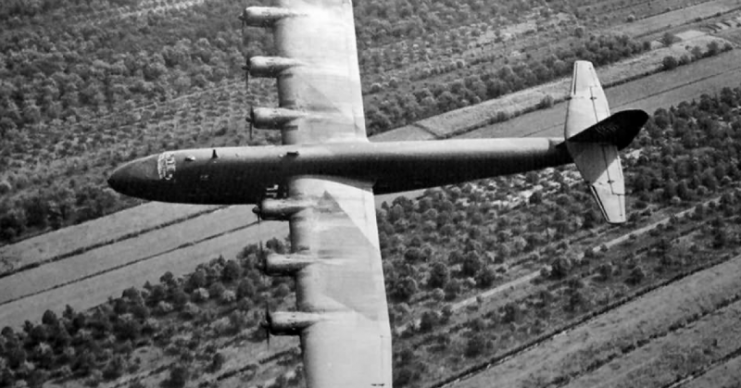 The V7 made its flight in April 1943. 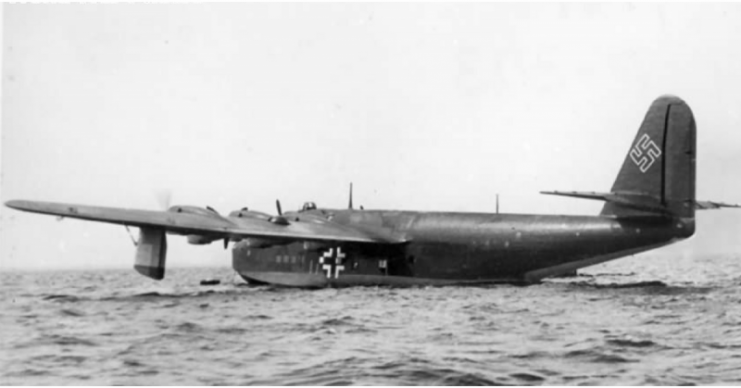 It was fitted with six 1000 hp Jumo 207C inline diesel engines and became the prototype for the BV 222C. 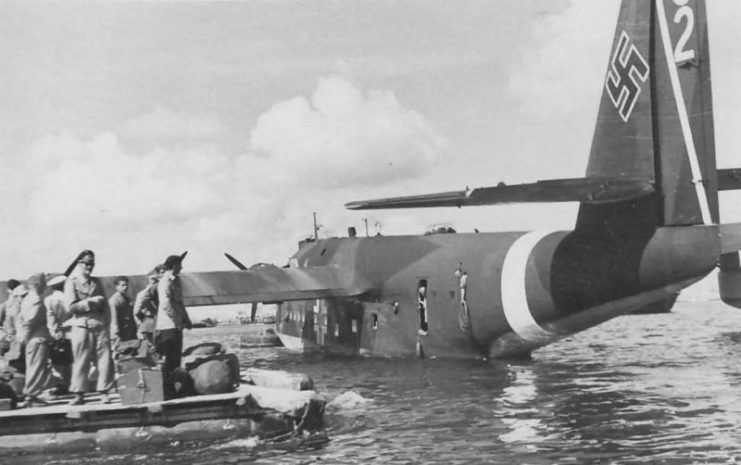 The BV 222 has three variants from BV 222A-C. The BV 222A and BV 222B are both powered by 1470 hp Junkers Jumo 208 diesel engines. 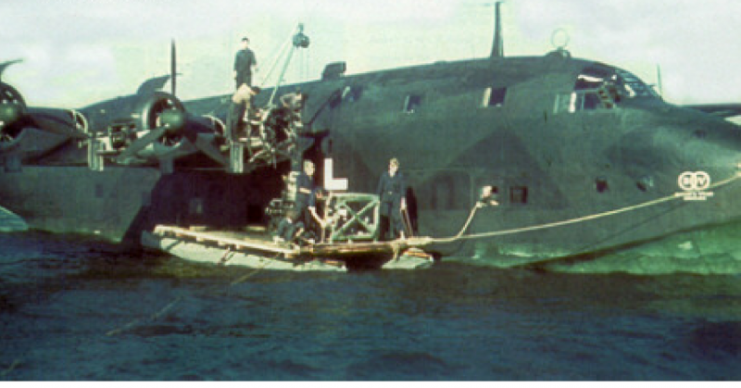 BV 222 being loaded by a secondary supply boat.